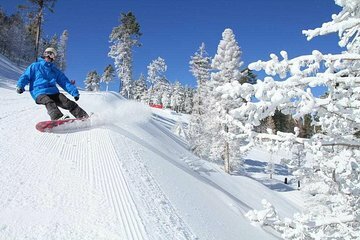 Hop on the bus in San Diego for a day of fun in the snow. Travel in comfort and safety to the Big Bear Mountain Resorts on a bus with all the amenities you need to make your journey great. Save yourself the headache of navigating winter mountain roads as our trained drivers allow you to relax and make the trip a great part of your fun day.